In June of 2013 I began running for the first time in my ENTIRE life. In September of 2013 I completed my first Half Marathon. 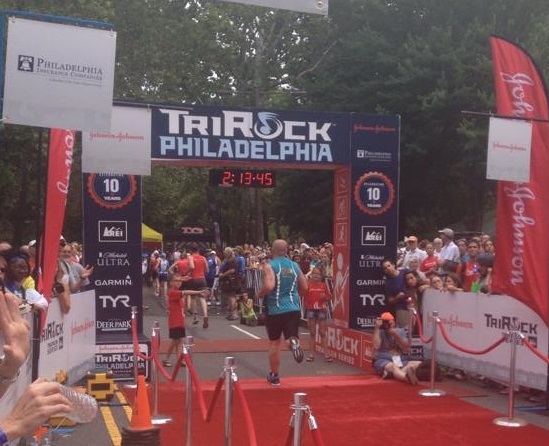 In June of 2014 I completed my first Triathlon. If you know me you know that I am very braggadocios. That is to say I come off like I am bragging about everything I do. However really it is only an act I put on. I am a very fun loving guy, and as such I like to make the best of every situation. So if there is something going on, I will tell you I am the best at it. Hell, I have even told people I am better at being them than they are. However it is all in good fun. Inside, I am really not that person. On the flip side I am also the first to make fun of myself when need be. I bring this all up because in all of the empty hearted bragging I do, there really hasn’t been much in my life that I have looked back on with an extreme sense of pride. I may come off as cocky at times, but again it is me just having a good time and being lighthearted. My running is something that I can say I am 110% proud of. It was just about a year ago that I decided to go out and just start running. No real goal in mind, in the words of the great Forrest Gump, “I just started running”. And here I am a year later with 2 Half Marathons and a Triathlon completed. And it didn’t take a secret formula or miracle. It just took me getting up every day and putting in a little bit of effort. This blog was always intended for the regular person who wanted to transform themselves but thought it took a miracle. I am here to tell you it doesn’t. 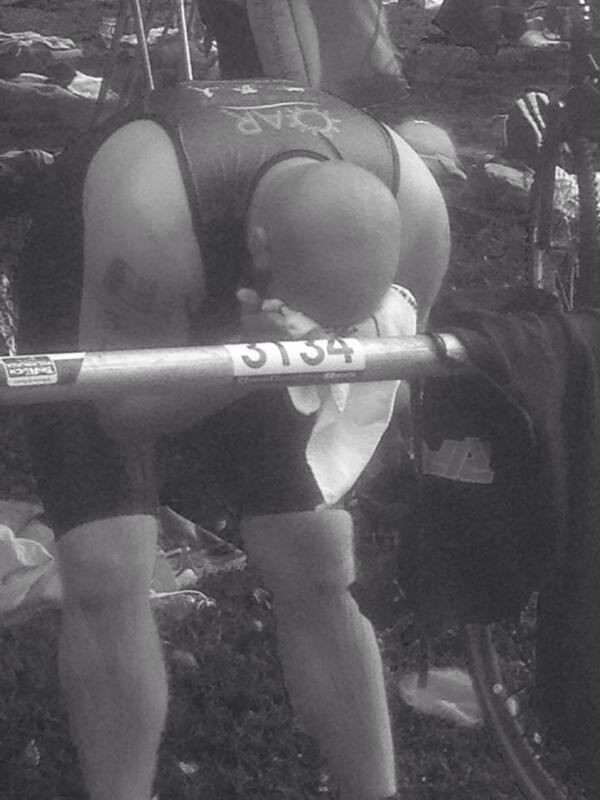 The triathlon was such an amazing time. It was a new experience that really tested my physical limits. Doing all of those different exercises were exhausting. 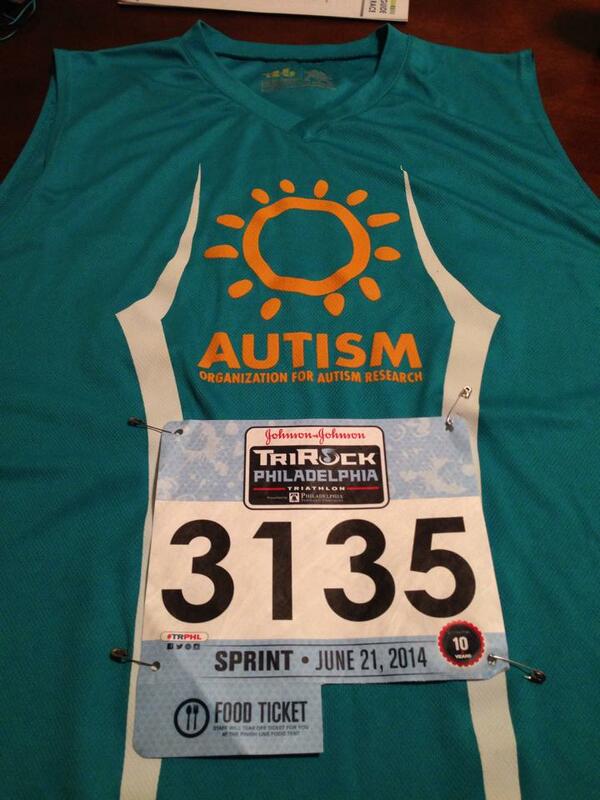 And I was so happy I could run this race on behalf of the Organization For Autism Research. Not only did I have a great time running for them, I had an equally amazing time raising funds for their cause. If you are going to put yourself through something like this, I think it is worth it to do it for a good cause. So check out their website and look at some of the races you can participate in. It is very rewarding to be a part of their community. And during the day of the triathlon it was really nice to run into a stranger wearing an OAR shirt and talking about why we run for them and how it has been so far. Running for such a great cause! It all began with the swim portion. When I got out of that water I honestly felt like I couldn’t go any further. Having just swam a 1/2 mile felt like pure death. However with everyone cheering me on I ran as fast as I could to my bike. When I got to my bike it was so great to see my parents and girlfriend waiting for me and cheering me on. Their faces gave me what I needed to dig up the physical power to grab that bike and go on. Getting on the bike felt good because of all the training I put in. I will be honest, I did not train as much for the swim as I should have. And it showed. However with the bike I felt right at home. I got on there and the 15.7 miles were done with really no problem what so ever. The course went through a good portion on Fairmount Park in Philadelphia so the scenery helped. And in true Pennsylvania fashion there were plenty of potholes to try and avoid. Once the 15.7 miles were complete it was on to the run. This part I felt extremely comfortable with. It was not easy, and I pushed myself for sure, but running is becoming second nature to me. I am very proud of myself in this part of the race. I was physically exhausted, and the adrenaline had me doing a full sprint to the starting line of the 5K which I should have probably taken a bit easier. Regardless I got out on that road and pushed myself. In the first 1/4 mile my legs felt like they were about to give up. I was cramping up in my right calf and left hamstring. I was all but certain running the entire thing was not an option and limping to the finish was. However I kept running. And in a time of 32 minutes I finished my 5K. Now mind you I am someone who runs a normal 5K in anywhere from 30-33 minutes. So the fact that I ran one in 32 minutes AFTER having swam 1/2 mile and biking 15.7 miles made me so proud of what I did. So that’s it, I now can say I have completed a triathlon. Just another notch on the running belt. There is plenty more to come this year (tough mudder, spartan race, another half marathon) but this was such an amazing accomplishment that I can always look back on and be proud of. Congrats! Where in Philly was this held? Right in the Fairmount Park section with is Northwest of Center City. 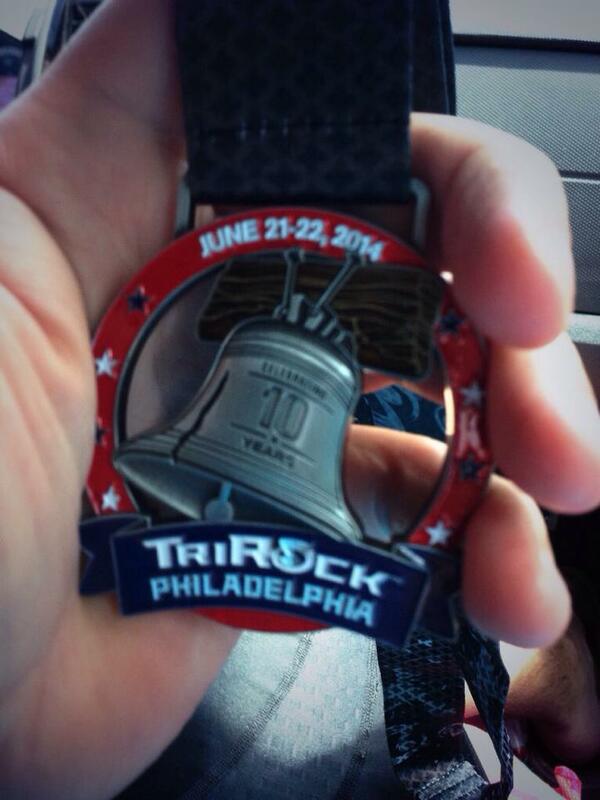 It is where 90% of most long runs are held in Philadelphia.